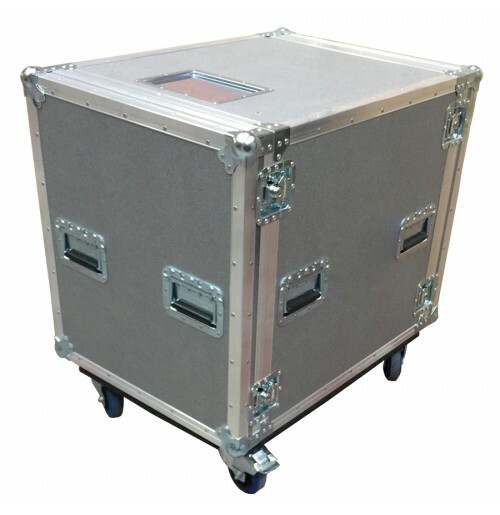 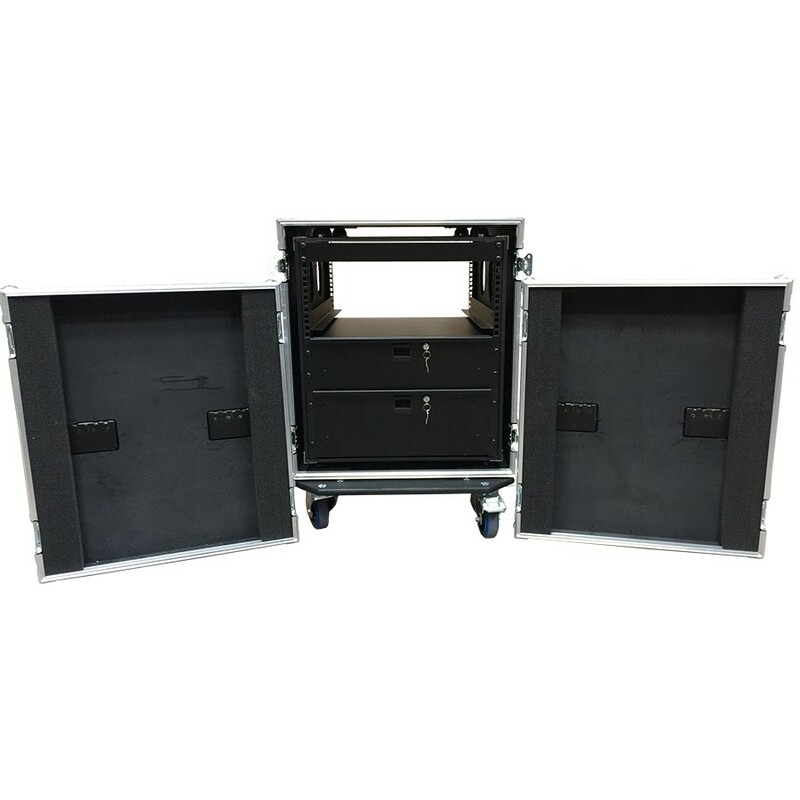 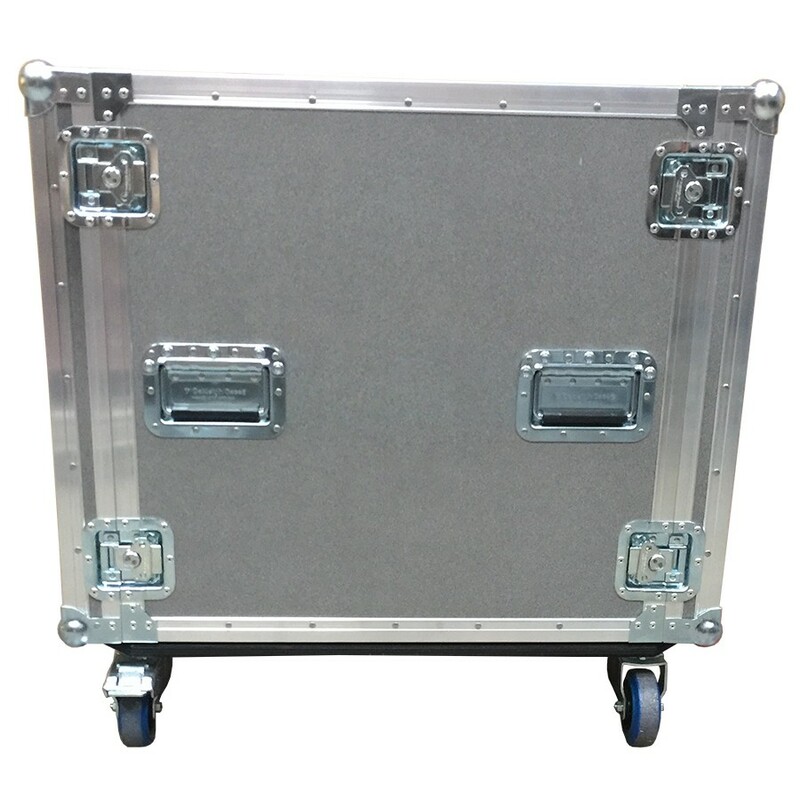 12U Rack Case Shock Mounted 650mm deep with 1 Shelve support. 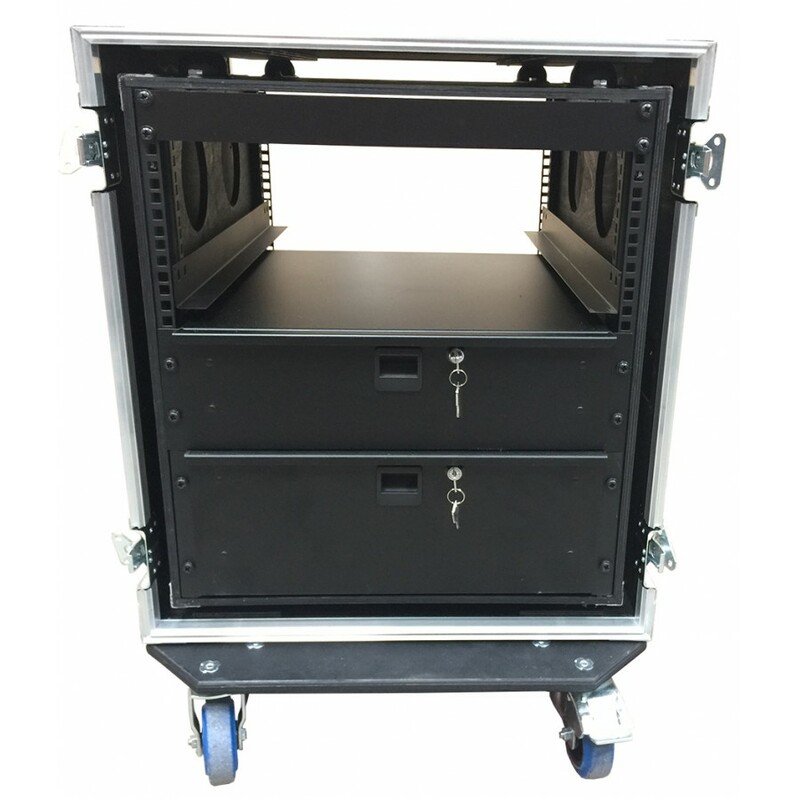 4u space on top, 3u rack drawer in middle and 4u rack drawer on bottom with key lock. Inner sleeve secured with elastomeric shock mounts.